A. The New York Giants franchise was established in 1925 and the team has always been known as the New York Giants. 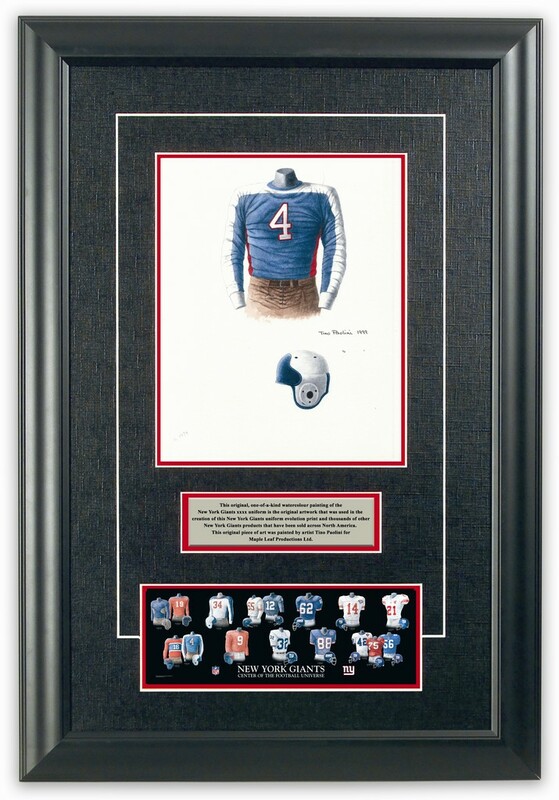 If you love the New York Giants and the history of the Giants franchise, you might really love to own an original piece of artwork celebrating the team's historic uniforms as seen in the poster at the top of this blog - you can actually own one of those original pieces of art! There are only 16 pieces of original art available for sale, and when these 16 are sold, that's it, they're all sold out. 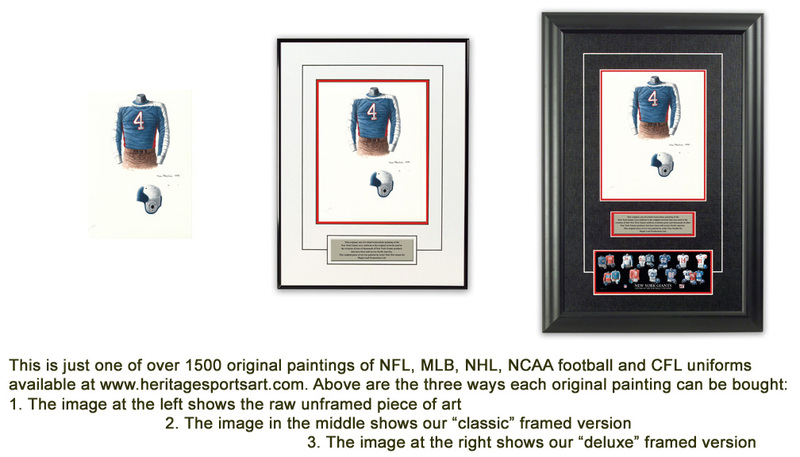 If you would like more information about this great artwork including the three ways you could purchase each piece, please visit our New York Giants YouTube video at www.youtube.com/watch?v=9vg3v6yC1Uw or go directly to the artwork website www.heritagesportsart.com/New-York-Giants-c123/ where you can see and purchase the artwork. Please note that the actual original, hand drawn pen and ink sketches used for the 6 stadium images shown above (we will complete the sixth image - the of New Giants Stadium) are available for sale as a complete collection to one New York Giants fan. If you are interested in being the owner of this complete and original collection of New York Giants home stadium images, please contact me by email ssillcox@rogers.com and I can explain how they can all be framed in one beautiful piece. 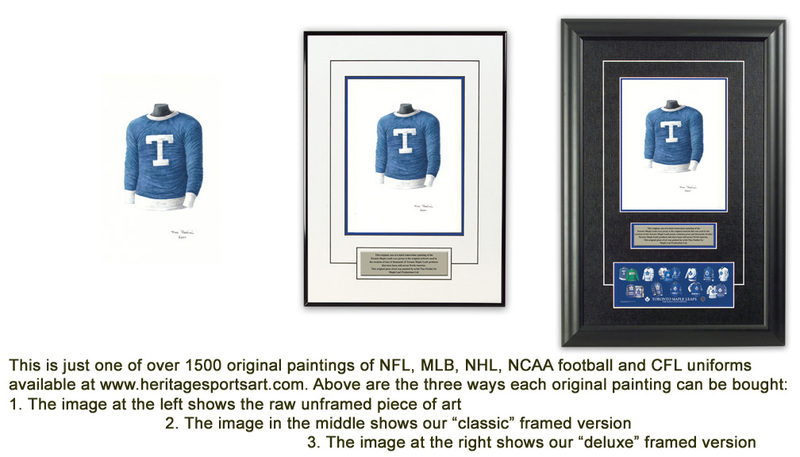 And please search my blog archive http://heritagejerseys.blogspot.com/ for other blogs on the history of the Giants.